Whether you're a first-time homebuyer or someone interested in moving to a new neighborhood, Better Home and Garden Real Estate Gary Greene's Open House Sweepstakes Weekend offers you the perfect opportunity to go house hunting, June 3-4th. And you could enter to win $1,000 cash at the same time. The Open House Sweepstakes Weekend is a fun, time-saving opportunity to pick your favorite neighborhoods and experience several homes in one day. It is a no-pressure way to see what is out there and consider what you like. There will be hundreds of open houses for you to attend throughout greater Houston metropolitan area. The public is encouraged to check www.garygreene.com for times and locations. Better Homes and Garden Real Estate Gary Greene's Open Houston Sweepstakes Weekend offers home buyers the chance to win a $1,000 monthly cash prize, May through August, just for visiting a Gary Greene-hosted open house during its Open House Sweepstakes Weekend. To enter, home buyers can visit any Gary Greene open house throughout the Houston area the weekends of June 3-4, July 8-9 and August 5-6. One lucky entrant will be drawn each month for the $1,000 cash prize. Learn more about the homes enrolled for Open House Sweepstakes Weekend. Congratulations to Paul Anderson of Houston, our first $1,000 winner of Gary Greene's Open House Sweepstakes Weekend for May! 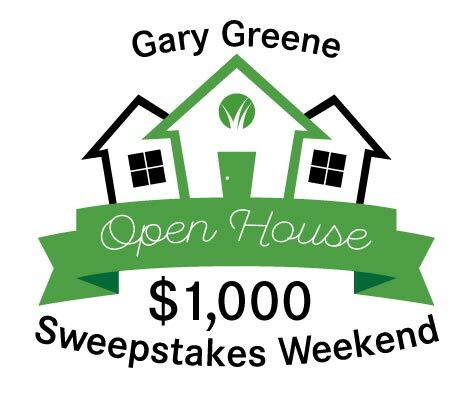 Gary Greene's Open House Sweepstakes Weekend offers home buyers the chance to win a $1,000 monthly cash prize, May through August, just for visiting a Gary Greene-hosted open house during its Open House Sweepstakes Weekend. To enter the sweepstakes, homebuyers can visit any of the hundreds of Gary Greene open houses throughout the Houston area the weekend of June 3-4 and then again on the first weekend of every month through August (except July when entries will be accepted July 8-9). Open house times vary. If you're selling your home, Open House Sweepstakes Weekend is sure to put a lot of potential buyers walking through your front door and seeing your listing.